South Africa is perhaps the most accessible safari destination for first timers. Well-connected by air with excellent intra-Africa connections, it is often the first port of call for visitors going into other southern African destinations. A South African holiday truly has something to offer for everyone: from a Big 5 safari to untouched beaches, from sampling some of the best wines in the world to exploring the Winelands in a self-drive vehicle, from experiencing the dynamic multi-culturalism of Cape Town to experiencing Michelin-starred cuisine, from bungee jumping to shark cage diving, there literally is something for everyone. Cape Town (V&A Waterfront) on a glorious morning. After the demise of apartheid, South Africa rejoined the community of nations and soon became one of the top travel destinations of Africa. It offered visitors the chance to escape to wild and remote areas for incredible game viewing and at the same time, it also offered them all the conveniences and attractions of modern civilization in cities located just a short flight away. Add to all this, the diverse culture of its many tribes and ethnicities and you truly get a Rainbow Nation, deserving not just one, but many visits. South Africa’s wildlife and scenery include a number of World Heritage Sites and game reserves. Cape Town has grown and flourished in a unique Cape Floral Kingdom, one of only six Plant Kingdoms on Earth. There are more naturally occurring flower species in the vicinity of Cape Town than in the whole of North America or Europe. South Africa is also home to deserts and arid areas, including the Kgalagadi Transfrontier Park. The country’s physical diversity is reflected in its peoples. From the San or Bushman people to the Mapungubwe and Thulamela who traded with Chinese and Arab traders, to the Europeans who came here looking for the spice route to India, each community brought with it something that melded together to form this unique nation on the southern tip of Africa. A rich land with a turbulent history, the area known today as South Africa has been inhabited by modern man for over 100,000 years, as evidenced by fossils and rock art that can still be seen today. The Khoikhoi and the San (together known as the Khoisan) peoples were the original inhabitants here, followed by the Bantu-speaking agropastoralists. Over time, highly sophisticated societies arose in southern Africa (for example, the Mapungubwe Kingdom, which was the largest in Africa until the 14th century), primarily characterized by agriculture as well as extensive trade with East Africa and Asia. 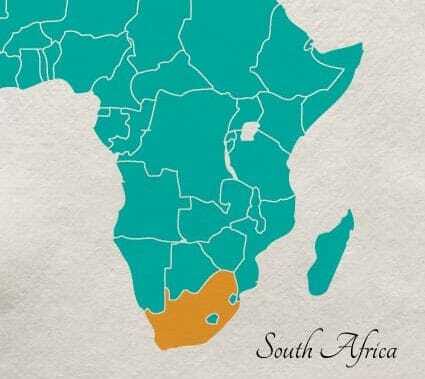 The Portuguese were the first Europeans to arrive on the Cape, but were soon followed by the Dutch (later known as Boers or Afrikaners), and then the British, who established the Cape Colony in 1806. British rule was beset by ethnic and racial discord. Harsh segregationist policies – which came to a head in 1948 when apartheid (Dutch for “separateness”) became the reigning government ideology – led to the dramatic oppression of “coloured” people in the name of white supremacy. The diamond and gold mining industries were instrumental in maintaining that system, both during British rule and after the Republic of South Africa declared independence in 1961. 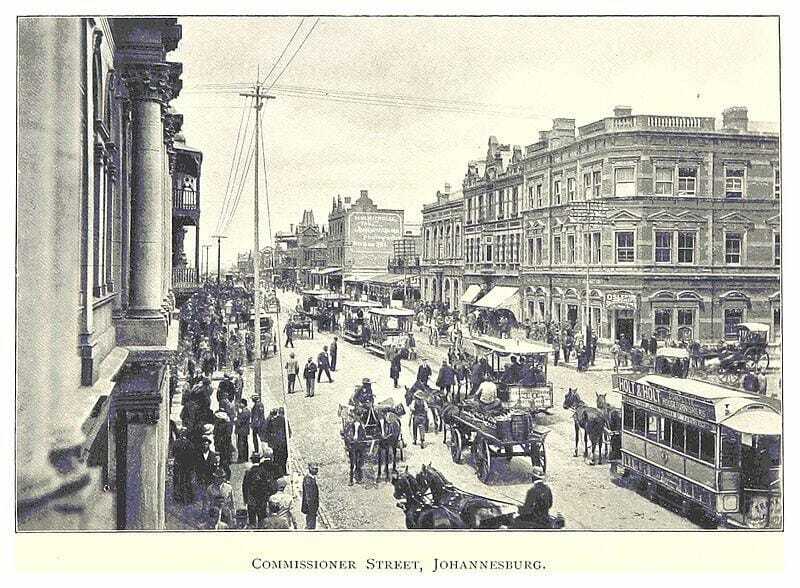 But segregation was resisted by non-whites from the beginning; the leading opposition group, the African National Congress (ANC) was founded in 1912, and ANC-led protests throughout the 20th century (as well as mounting international pressure) eventually led to the 1994 formation of a new Government of National Unity, which abolished apartheid and ushered South Africa into a new age of hope and equality. The Rainbow Nation rejoined the community of nations, and in addition to dedicating itself to internal healing and economic development, it has become one of the top travel destinations in Africa – offering visitors the chance to escape to wild and remote areas for incredible game viewing, while at the same time offering them all the conveniences and attractions of modern civilization in cities located just a short flight away. Planning a trip to South Africa? And wondering what time of the year is the best time to visit? The answer to this question is often confusing because South Africa is such a large country and the weather varies quite a bit regionally. Since South Africa is in the Southern Hemisphere, the weather is often the inverse of what you would find in the Northern Hemisphere. South Africa is a year-round destination: different parts of the country are more attractive at different times of the year. Wildlife viewing is best from June through October, but you can tailor the timing of your trip according to what interests you the most. For the Cape area, the peak season is from November to March, which are the hotter summer months. Day trips and tours to places of historical, cultural and natural interest. Water sports like scuba diving, surfing, water-skiing, and more. It is great for several different holiday types. Family Holidays in South Africa: South Africa is very popular for families because of the varied experiences it offers: from experiencing astounding wildlife firsthand on a Big 5 safari to lessons in history in Johannesburg (Apartheid Museum) and Cape Town (Robben Island); from fun and fabulous adventures along the Garden Route to relaxing moments along unspoilt beaches. South Africa is geared towards families with kids of all ages. Honeymoons in South Africa: Looking for an escape after a hectic wedding? Look no further than South Africa. Stay with your loved one in a luxury treehouse (while on safari), or wander through vineyards and quaint towns. Sample some of the finest cuisine in the world. Experience adventure and thrill and charm and beauty all at once. Fall in love again. With South Africa. South Africa for Wildlife Lovers: While some reserves in South Africa do come across as less wild, there is no rival to Kruger National Park, one of Africa’s largest game reserves, at 19,452 square kilometres. It has one of the highest densities of Big 5 game anywhere in the world, and some spectacular sightings of smaller, nocturnal game as well. However, South Africa also has some secret, unexplored spots for wildlife lovers seeking something unusual: from Tswalu in the Kalahari to Phinda in KwaZulu Natal, our team of South Africa experts can guide you on where and how to find unusual wildlife experiences in the Rainbow Nation. We recommend South Africa to all our guests, no matter how old they are or what their personal preferences are. The main port of entry into South Africa is usually Johannesburg (O.R. Tambo). However, it is more than likely that you will book an open jaw ticket to South Africa depending on your itinerary. For example, you may fly into Johannesburg and then fly out of Cape Town towards the end of your trip. It is very rare that you will have a direct international flight to any city other than Johannesburg. Flights to Cape Town, Johannesburg, Durban, Port Elizabeth and George all fly via Johannesburg (JNB). Most leading airlines will fly to South Africa either direct (South African Airways) or via major hubs such as Dubai (Emirates), Doha (Qatar), Abu Dhabi (Etihad), Frankfurt (Lufthansa), London (British Airways), Seychelles (Air Seychelles), Nairobi (Kenya Airways), Adis Ababa (Ethiopian), and more. 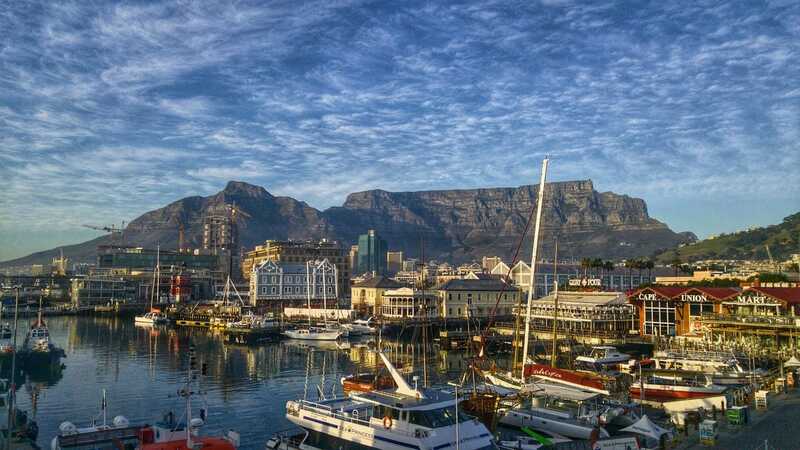 You will most likely have to take a domestic flight within South Africa, usually connecting you from Johannesburg or Kruger (Nelspruit / Kruger Mpumalanga International Airport) to Cape Town or the Garden Route. We usually recommend that you book this domestic flight along with your international leg so that luggage weight restrictions do not apply. You can also book with several domestic and low cost airlines, such as South Africa Airways, Kulala, Mango, SA Express, SA Airline, and more.